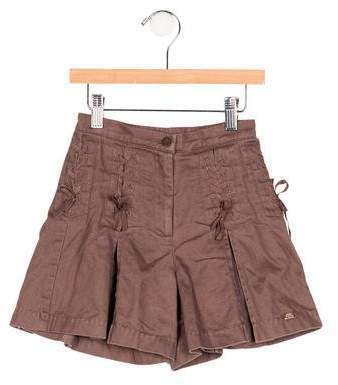 Help your mini fashionista look fashionable by suggesting that she team a dark green cardigan with Lili Gaufrette girls lace up pleated shorts from TheRealReal. 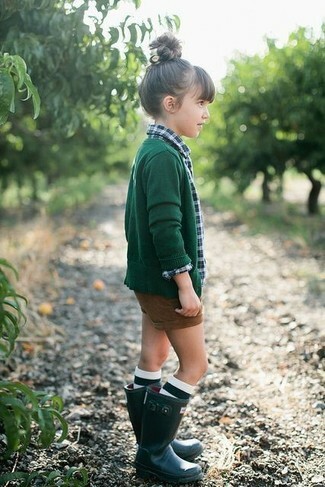 As for footwear your little one will love dark green rain boots for this look. 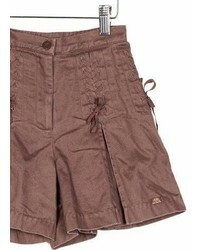 Your little girl will look super cute in a white long sleeve blouse and brown shorts. As far as footwear is concerned, suggest that your little girl go for a pair of dark brown leather boots.